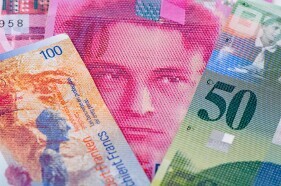 The Swiss franc was soft today amid mild risk appetite on the Forex market. Market analysts speculated that traders were more willing to risk due to hopes for a Sino-US trade deal in the near future. Decent domestic macroeconomic data did not help the Swissie. The Federal Statistical Office reported that the Producer Price Index rose 0.3% in March from the previous month. The report said that “higher prices for petroleum products” was the main contributor to the rise. Analysts had expected the same 0.2% rate of increase as in February. USD/CHF gained from 1.0011 to 1.0029 as of 11:26 GMT today. EUR/CHF rallied from 1.1323 to 1.1344. If you have any questions, comments, or opinions regarding the Swiss Franc, feel free to post them using the commentary form below.